Great to have, or great to wear with vintage style! 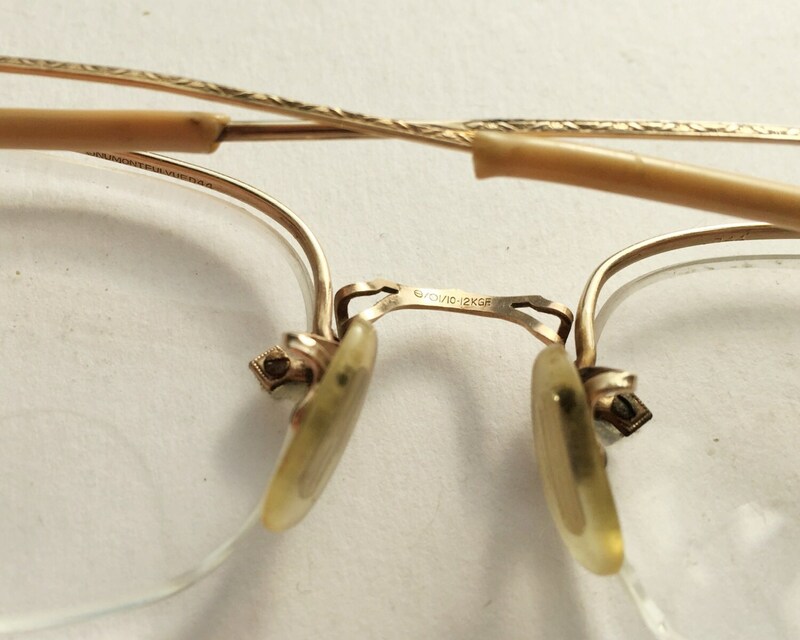 These gold fill antique eyeglasses are in good shape. They are marked on the underside of the bridge with 12k GF. The bridge itself has a very pretty design. They have curved temples, also known as riding temples, because they curl around the ear, and the are covered with some kind of plastic, presumably to make them more comfy. 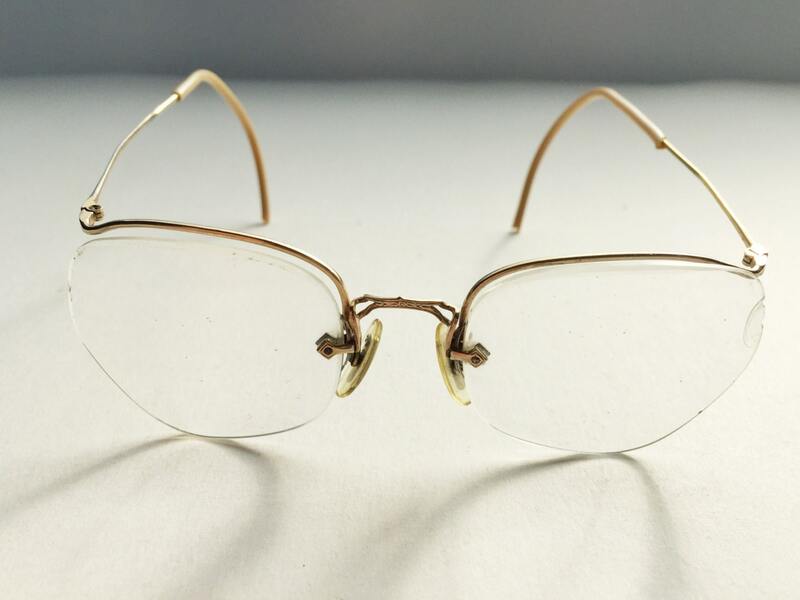 Includes the nose pads, and while it doesn't have temples in the middle, it has the innovation of having the temples affixed to the bridge over the lens, without touching the lens on the far outside! Innovation for the era that is! This pair must be early in the thirties because it still has the curved temple which was going out of favor by this time. The frame is also with a lovely pattern. 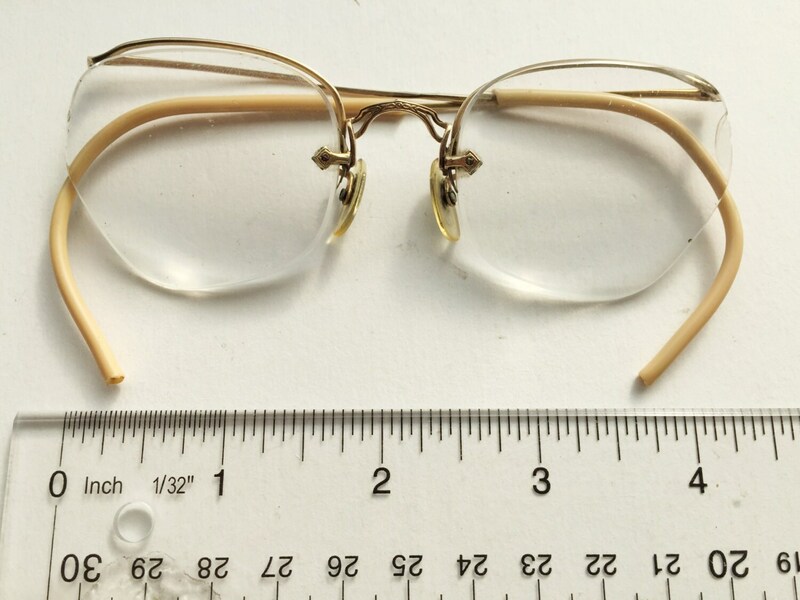 They are currently fitted with prescription lens - which are chipped and scratched, but you would want to put your own prescription in anyway, if you're planning on wearing them. 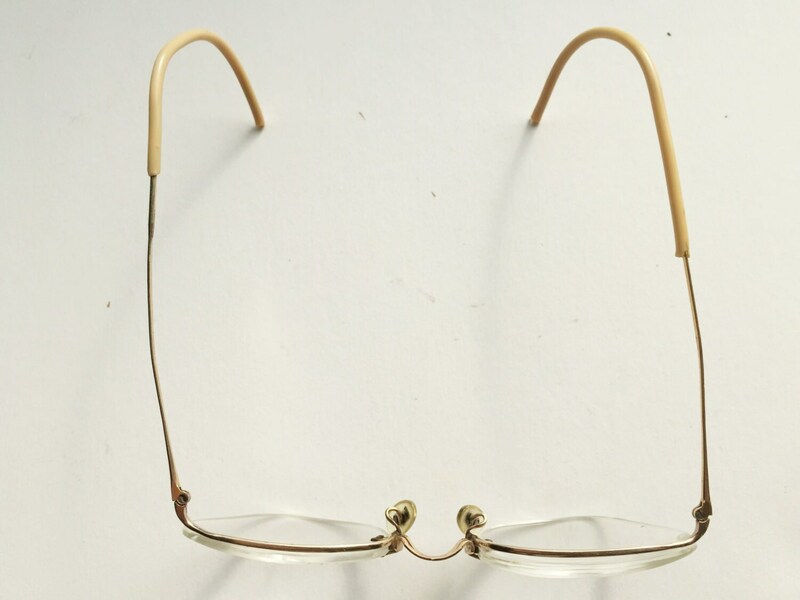 because of the design of the frame I would prefer these for 'lighter' prescriptions. I think heavy lens wouldn't work. I have a case with them, but it's not original, but I will include it. 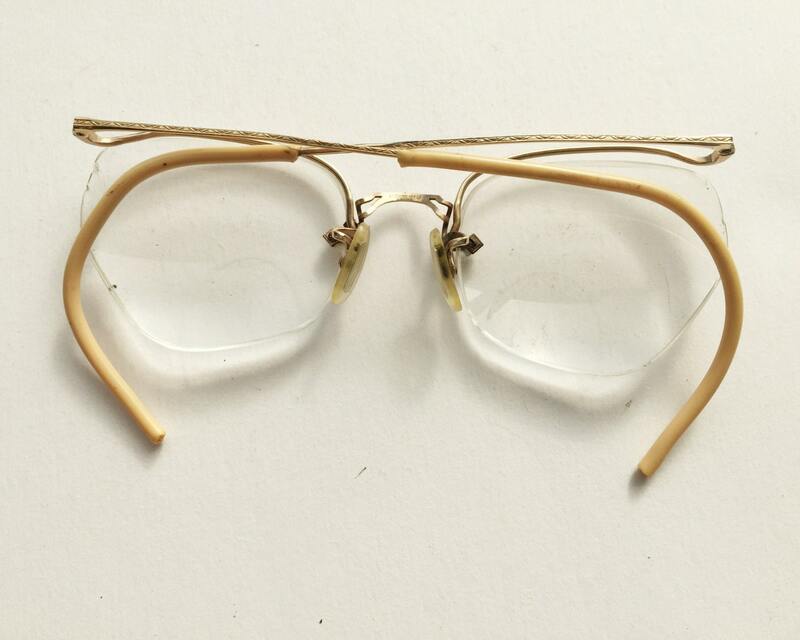 Great way to make a real statement if you get them fit with your prescription! These are adult size, I tried them on. They measure 4 3/4 inches.